• 3000 Series Aluminum Honeycomb in Unexpanded Slices or Expanded Sheets. 1", 3/4", 1/2", 3/8", 1/4", 1/8"
Exclusive distributor for Alcore commercial grade aluminum honeycomb! 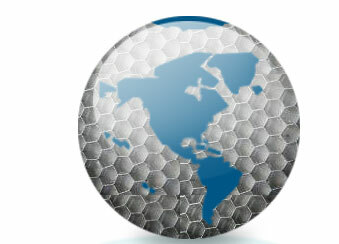 HoneyCommCore has over fifty years of in-house experience in the aluminum honeycomb industry. This experience provides the expertise you need for your current and future commercial aluminum honeycomb projects. Whether you need expanded sheets for your aluminum honeycomb panels, unexpanded slices, or full blocks we have you covered. Have a custom job requirement? HoneyCommCore provides aluminum honeycomb in slotted and drilled form. We also offer die stamping for circular patterns and more complex design requirements. Need it ASAP? We provide the best Expedited Service available and HoneyCommCore’s order turn-around time is the industry’s gold standard. HoneyCommCore is committed to providing the best customer service in the industry. We are certain you will find our pricing to be very competitive and our ACG Aluminum Honeycomb to be the highest quality. HoneyCommCore would appreciate the opportunity to service your ACG honeycomb requirements.